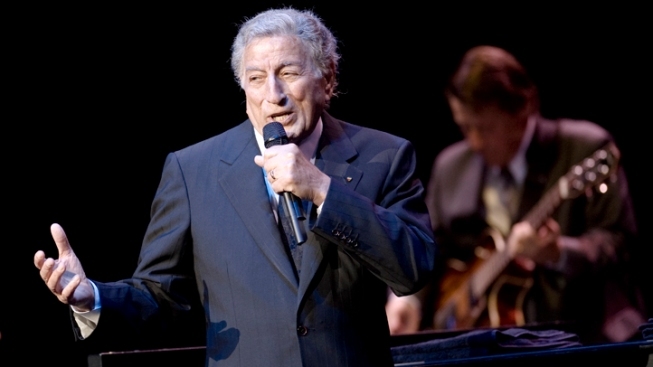 Legendary crooner Tony Bennett now has the first No. 1 album of his long career - at age 85. Bennett's "Duets II," featuring the 14-time Grammy winner singing with such stars as Lady Gaga, Amy Winehouse, Mariah Carey and Carrie Underwood, sold 179,000 copies in its first week to reach the top of Billboard's Top 200 albums. At 85, he easily broke the previous record for oldest top-seller, held by Bob Dylan, whose "Together Through Life" topped charts when he was 67. Bennett's duet with the late Winehouse, "Body and Soul, debuted at No. 87 on the singles chart, making him the oldest living artist to crack that list. Bennett's first "Duets" album, released in 2006, peaked at No. 3 on the albums chart. Bennett, born Anthony Benedetto, launched his career in 1950 after serving in the military during World War II. His first big hit was "Because of You," which reached No. 1 in 1951. It was the first of several No. 1 hits for Bennett, although his signature song, "I Left My Heart in San Francisco," only reached No. 19 in 1962.